How to Use This Site: Simply click on the desired category in the menu above. As new sites are added, I will add them to the top of the list for each specific category page. I will also try to write a new post whenever new sites are added. That way, if you choose to subscribe or follow, you will be kept up to date with my latest findings. 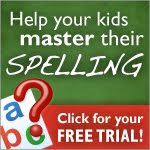 I hope this site will benefit you in your homeschooling journey! What a great resource! I added your button to my blog. Thanks! Thanks! I've got TONS more sites from my list to add. So, be sure to check back!